The Central Board of Secondary Education (CBSE) has scheduled JEE Main on April 8, 2018 in offline mode. There are only two weeks left for the examination. Now, students should practice at least one practice paper daily to improve their speed and accuracy. CBSE class 12 appearing students can attempt practice paper as their main exams (Physics, Chemistry and Mathematics) are already over. They have studied the complete syllabus of Class 12. Now they are to focus only on Class 11 syllabus before appearing for JEE Main 2018. It is very important for students to revise complete syllabus of Class 11 and Class 12 to score good marks in upcoming JEE Main. Students can even go through the NCERT books of class 11 and class 12 as there are only few days for the examination. By doing so, they can cover the complete syllabus before time. According to some experts, NCERT textbooks are the best study material to score good marks in JEE Main. It is observed that students who solved more practice papers score more marks in their exam than those who struggled to solve few practice papers. After doing the detailed analysis of few previous years’ papers of JEE Main, this time engineering section is providing you fully solved paper based on the latest pattern and syllabus. 1. There are three sections in this paper namely Physics, Chemistry and Mathematics. 2. Each section consists of 30 multiple choice questions with single correct option. 3. The time allotted to complete the paper is 3 hours. 4. For each correct answer students will be award +4 marks and for each incorrect answer one mark will be deducted. 5. Zero mark will be awarded for unattempted questions. Here, you will get a set of 30 questions from different topics of Physics like Units and Measurements, Motion in a Straight Line, Laws of Motion, Rotational Motion, Gravitation, Thermodynamics, Kinetic Theory of gases, Waves, Electric Charges and Fields, Electrostatic Potential and Capacitance, Current Electricity, Moving Charges and Magnetism, Magnetism and Matter, Electromagnetic Induction & Alternating Current, Electromagnetic Induction, Alternating Current, Electromagnetic Waves, Dual Nature of Radiation and Matter, Atoms & Nuclei, Semiconductor Electronics, Communication Systems. The electric field due to a charge Q at a point in space may be defined as the force that a unit positive charge would experience if placed at that point. 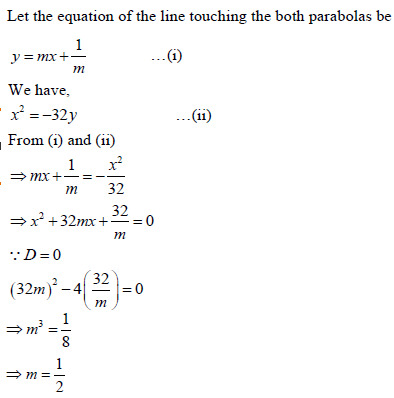 Thus, electric field due to the charge Q will be continuous, if there is no charge at that point. It will be discontinuous if there is a charge at that point. Also, the image formed is inverted. In this section the questions have been taken from the different topics like Basic Concepts of Chemistry, Structure of Atom, Classification of Elements & Periodicity in Properties, Chemical Bonding and Molecular Structure, Thermodynamics, Equilibrium, Redox Reactions, Hydrocarbons, Solid State, Solutions, Electrochemistry, Chemical Kinetics, Surface Chemistry, Isolation of Elements, Coordination Compounds, Haloalkanes and Haloarenes, Alcohols, Phenols and Ethers, Aldehydes, Ketones and Carboxylic Acids, Organic Compounds containing Nitrogen, Biomolecules, Polymers. Which of the following compounds is detected by Molisch’s test? Molisch's test is a confirmatory test for carbohydrates or sugar. A few drops of alcoholic solution of are added to a carbohydrate solution. Then 1 ml of concentrated sulphuric acid is added from the sides of the test tube. Appearance of violet ring at the junction of two liquids confirms the presence of carbohydrate or sugar. There are 30 questions in this practice paper from different topics like Relations and Functions, Trigonometric Functions, Complex Numbers and Quadratic Equations, Permutations and Combinations, Binomial Theorem, Sequences and Series, Straight Lines, Limits and Derivatives, Probability, Inverse Trigonometric Functions, Matrices, Determinants, Continuity and Differentiability, Application of Derivatives, Integrals, Application of Integrals, Differential Equations, Vector Algebra, Three Dimensional Geometry. 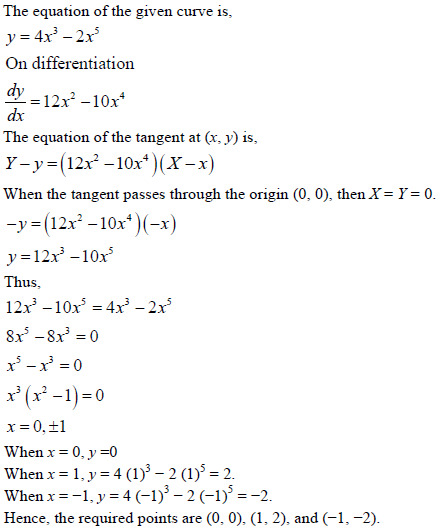 For the curve y = 4x3 − 2x5, find all the points at which the tangents passes through the origin. The main objective of this practice paper is to help students to assess their preparation and time management skills. Students can improve their knowledge by practicing new set of questions from the complete syllabus of Chemistry, Physics and Mathematics.